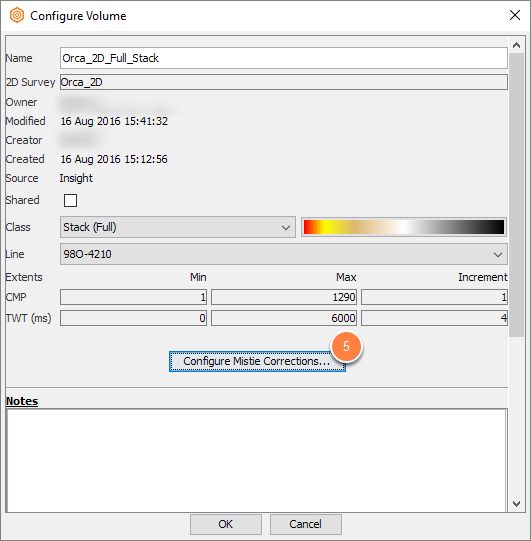 Double-click the selected volume or right-click and select Configure 'Volume'. The Configure Volume window will be displayed. The example above shows mistie correction on 2D line 980-4210 only. For a 2D volume, select the 2D line that you want to apply the mistie corrections at Line. Click on Configure Mistie Correction. A list of all the mistie corrections applied to each line in the volume will appear. 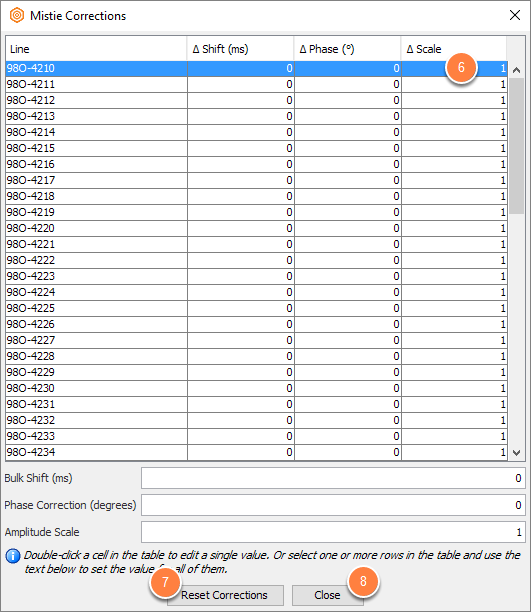 The table shows Time Shift, Phase and Amplitude Scale. Note: The Mistie correction table can be copied and pasted directly into an Excel spreadsheet by shift highlighting all the values and using shortcut Ctrl+C. Ctrl+V will paste it into the spreadsheet. It's also possible to right click and export to csv. Each value can be edited in the table by double clicking on the appropriate cell. This will update the mistie applied to the data for display. To remove all Mistie corrections from the volume at once select Reset Corrections. Click Close and OK to apply the mistie corrections. As you apply the mistie correction, you can view the changes directly from the 3D View. 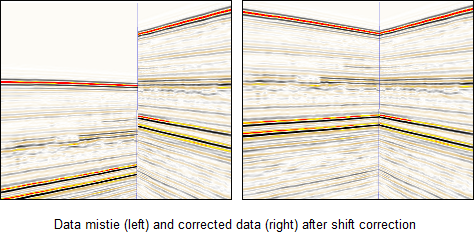 See the example below for data mistie before and after shift correction for two intersecting 2D lines. 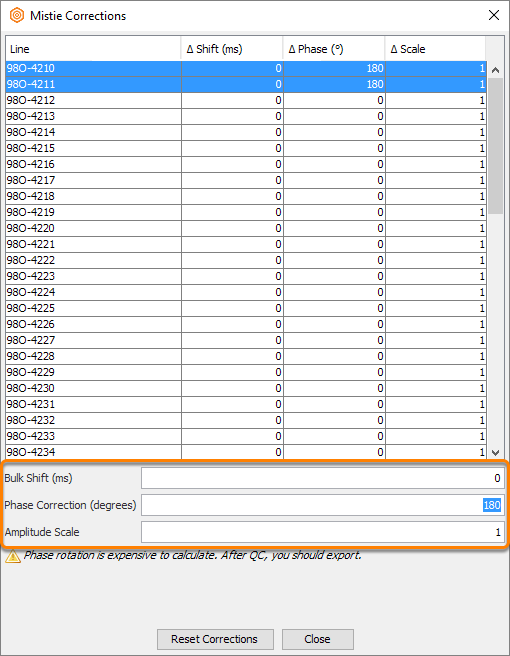 Note: To apply the mistie corrections permanently, export the data volume. In the Configure Mistie Correction table, highlight multiple Misties using Shift + right click (for all) or Ctrl + right click (for selected lines). The selected fields will update with the new misties. Click Close and OK to apply the new Mistie Corrections. Example below shows application of 180o Phase Rotation to two highlighted lines.